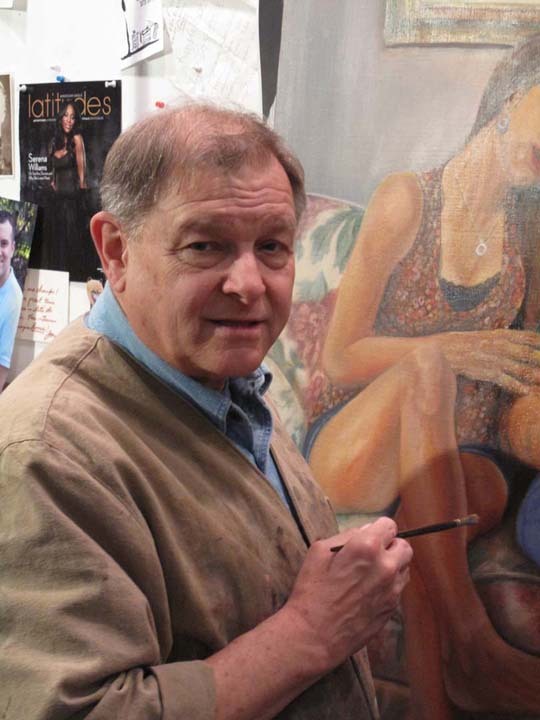 Visual artist, Michael Parr grew up interested in the arts, history and literature. After completing the BA degree at Central Michigan University he taught language arts near Flint; later completing the MA and MALS degrees at the University of Michigan he relocated to Kalamazoo and worked as a librarian until retirement. In the early 80's he resumed his interest in art, taking evening classes at the Kirk Newman Art School at the Kalamazoo Institute of Arts; studying under Denise Lisiecki, Alex Hall and Joshua Dietrich. In 2007 Michael entered an atelier program at Kenneth Freed Studio where he received a grounding in two dimensional art and rigorous training in various paint mediums. Michael currently teaches various drawing classes at the Kalamazoo Institute of Arts, Kirk Newman Art School and welcomes commissions. His works have been accepted into numerous Michigan juried shows, and have been purchased by private individuals in Michigan and nationally.